The New York eHealth Collaborative (NYeC, pronounced “Nice”) is a not-for-profit organization, working to improve healthcare for all New Yorkers through health information technology (health IT). 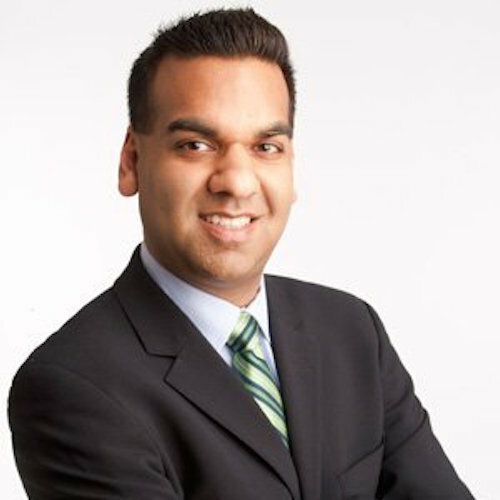 The goal of NYeC is that no patient, wherever they may need treatment within the State of New York, is ever without fast, secure, accurate, and accessible information and Anuj Desai is its tireless Vice President of Market Development. He’s the one who is responsible for developing and managing strategic relationships and alliances with the various vendors and partners that interact with NYeC. He also leads the NY Digital Health Accelerator that has led to $4.2 Million in strategic investments for eight tech companies and has launched 17 pilots at 23 large healthcare provider organizations. And counting. He was named in Crain’s New York Business “40 Under 40” Class of 2013, is a recipient of Modern Healthcare Up and Comers Award (2013) and was named one of 50 Outstanding Asian Americans in Business (2013).